"One thing that was surprising and disappointing to us was the [lower] number of third parties to come out [in support] after launch," Yoshida told Gamasutra. Yoshida suggests that the emergence of numerous gaming platforms - particularly mobile - has spawned a battle for limited developer resources, which impacted Vita support. "In retrospect, there are so many options for publishers now that we cannot take it for granted that our new platform would be supported by third parties, like [it would've been] many years ago," he said. "There are limited resources that third party publishers have, and they have to diversify into new areas constantly; that's a challenge to get the support that we want. 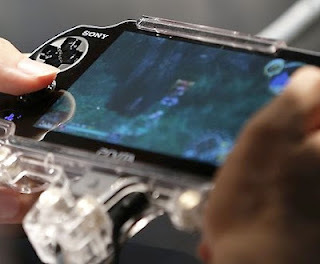 "Yoshida says Sony's challenge is define what Vita is and which software works best for it. "As we can expand our install base and articulate what works really well on the platform as compared to others, it will get easier for us to be able get support from third parties," he said. Let us know your thoughts on 3rd party support in the comments below!